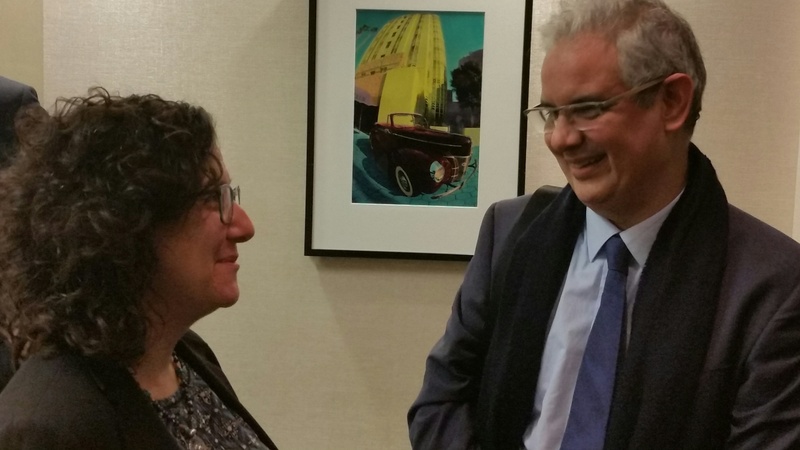 Tamara Wittes, director of the Center for Middle East Policy with Nizar Baraka at the roundtable. The Sahara is well poised for economic growth. Its GDP is 60% higher than the national average, but some 30% of that is generated by government programs. So the strategy going forward is to deeply engage the private sector to increase investments and jobs. One critical target is to diversify the local economy while protecting the environment. The focus is on empowering individuals to more fully participate in the economy; for example, raising the rate of women in the workforce from a woeful 14% to at least the national average of 25%, and doubling the number of employed youth.